According to the Associated Press the deadliest mining accident in American History was an explosion in a Monongah, West Virginia coal mine in 1907 in that killed 362 people. 2001: Explosions at a Jim Walter Resources Inc. mine in Brookwood, Ala., kill 13 people. 1992: A blast at a Southmountain Coal Co. mine in Norton, Va., kills eight. 1989: An explosion at a Pyro Mining Co. mine in Wheatcroft, Ky., kills 10. 1986: A coal pile collapses at Consolidation Coal Co.’s mine in Fairview, W.Va., killing five. 1984: A fire at Emery Mining Corp.’s mine in Orangeville, Utah, kills 27. Here in the Adirondacks, mining accidents occurred with regular frequency in the 19th and 20th centuries. The Chateaugay Ore & Iron Company mines have claimed several men. William Otten was killed on March 13, 1928; later that year, 21-year-old Lyon Mountain miner Floyd Rounds was seriously injured when dust from an explosion was thrown into both his eyes. Three men were killed and one seriously injured in one terrible week in 1927. One was 50-year-old George Bouyea who fell 300 feet into a shaft at Lyon Mountain. The 18-year company veteran and foreman in charge of repairing motors was adjusting a cable at the top of a shaft when he lost his footing. He was instantly killed leaving a wife and seven children. In 1907, five unnamed miners – “Polanders, and it was impossible to learn their names” – where injured when the roof of a mine at Lyon Mountain caved in. Two men broke their legs and the other three were less seriously wounded. Foreign workers frequently went unnamed. “An Italian who was blown up at Tongue Mountain died Thursday,” one report noted. “He accidentally struck a stick of dynamite with a crowbar. The man’s left arm was blown off at the shoulder, there is a compound fracture of his right arm just above the hand, both eyes were blown out of his head, a stone was jammed against his heart and his head was bruised.” It was a remarkable that he wasn’t killed instantly. Dynamite was the culprit in a fatal explosion at the Harmony Shaft in Mineville in Essex County in 1901. During the day shift a charge of dynamite had failed to explode. When the night crew came on, George Baker was informed about the unexploded charge and Baker, James Tate, and Thomas McClellan went to the spot to correct the situation. The blow of the tapping bar exploded the charge of dynamite and Tate’s head was blown off. Baker was blinded, his arm broken and his face badly injured. McClellan was seriously hurt. Baker lost an eye but he and McClellan recovered. Baker was troubled by what had happened. His wife went insane and was committed to a mental hospital in Ogdensburg. Baker started drinking heavily. In 1915, fourteen years after he the mine accident George Baker tried to kill himself with a shotgun. He overloaded the shells and the gun exploded – not to be deterred, he took up a razor and slit his own throat. He was just 45. UPDATE 1/6/06: Brian Mann of North Country Public Radio (NCPR) interviewed Lawrence Gooley, Adirondack author of “Lyon Mountain: The Tragedy of a Mining Town” after reading about Adirondack mining accidents here at the Almanack. NCPR has set up a webpage where you can hear the interview here. UPDATE 5/1/06: The Almanack is now an NCPR Featured Blog. Hops Around. Hops Around. Get Up and Get Down. A while back (a long while back) William Dowd’s Hops To It post got us thinking about doing a nice piece on the history of hops in New York and the Adirondacks; Especially now that the Beer Hawkers have returned to the Glens Falls Civic Center. Over at the Northeast Hop Alliance, there is a nice recent NY hop history. While hops was a staple crop of New York farmers in years past it, only last year was the first beer brewed with all New York hops. Hops, once a leading specialty crop in New York state, suffered from plant disease and insect pests. Prohibition in the 1930s also helped spell the crop’s demise, and 50 years ago, production ceased. The last beer made entirely from New York-grown hops was brewed in the 1950s. I had to go back with my box half filled. To find my house in disorder, my dishes unwashed. He kicked the poor dog and slammed the back door. He would give me a job of picking stone. And resolved the next day to try it again. I could pick hops as fast as the rest. But the weather was cold and I almost froze. My fingers were numb and cold were my toes. My work was neglected, my temper was spoiled. I am resolved in the future to let the men earn the money. The last reference I could find regarding the growing of hops in the Adirondack region was a 1949 notice of the arrival of “400 pounds of Bavarian beer hop roots” in Malone where “local growers hope to revive a once-flourishing New York industry.” Unfortunately, the importers were not mentioned by name, and how the experiement went was never revealed. And who knew? Hops are good for you! Alan over at Gen X at 40, has our region on his mind – he’s looking forward to a trip to the Adirondacks, and at his Good Beer Blog, he has spotlighted Saratoga’s He’Brew 9 and declared his pick for Best Pub of 2005… drum roll please… is…..
Adirondack Wilderness vs. Adirondack History? The Glens Falls Post Star today is telling us all about Earl Allen, who (according to the photo cutline) “owns more than 200 acres in the Adirondack Park and has fought with the state to keep every bit of it.” Apparently in newspeak when you’re asked to sell your two and one half acre piece of land in the middle of the wilderness area to the state for the enjoyment of all New Yorkers, you are fighting the state to keep your more than 200 acres of land. It’s no surprise that the Post Star panders to the right wing anti-Adirondack Park types. There used to be a William “Bill” Doolittle (the Will Doolittle of the Post Star or his father? Not that Will Doolittle) who was a one-time publisher of the Adirondack Daily Enterprise and former President of the Saranac Lake Chamber of Commerce. He moved from New Jersey and then outwardly positioned his paper to support the radical right “natives vs the state” mentality – he even suggested the hands across the mountains emblem for the developer front-group League for Adirondack Citizens’ Rights (now long defunct) and suggested to them that they make connections between their fight to eliminate environmental protection of the Adirondacks to the Patriot cause in the American Revolution. “One Johnsburg town official, who requested his name be withheld for fear of retribution, likened state land to cancer.” Apparently, in Johnsburg you can get elected by lying to your constituents, or at least keeping them from the truth of your views. ” ‘I wouldn’t give the state nothing,’ [Allen] said sharply during an interview earlier this month, his 80-year-old hand balling into a fist on his dining room table. ” Now we can guess that Mr. Allen doesn’t really mean that he “wouldn’t give the state nothing,” what he really means is that if it’s his private preserve, surrounded by state forest, he’s not going to give it up. We assume he doesn’t mean that he wouldn’t serve his country in time of war, or send his children or grandchildren to do the same. We assume that even though the state no doubt gives plenty to him and his town (which has just received nearly a million dollars in tax dollars for development), he certainly can not be drawing Social Security, Medicare or Medicaid, sending his kids to public schools, or driving on state or county roads – can he? When he is ready to leave this world he’s not going to ride in a partially state funded Johnsburg ambulance – is he? It seems Mr. Allen is “still bitter about the burning” of Fox Lair, a resort for the rich that was turned into a rich boys summer camp until it was burned to the ground when the state purchased the land in the 1970s. Mr. Allen – It’s our land! We own it! You don’t want to sell yours and we wanted to clear the rich kids camp off ours! Maybe you should apply your property rights to someone besides yourself. “You can drive anywhere in the state, anywhere in the park and not have any recollection of what was there 100 years ago in some places,” J.R. Risley, the Town Supervisor of Inlet, said. Ohhh… Mr. Risley we support your newfound devotion to historic preservation! That’s why environmentalist want to see wilderness instead of New Jersey-style development! The problem is that you want to return to a time when the developers (Railroads, Tanning, Mining, and Lumber firms) took advantage of their friends in the State Legislature to clear-cut, cause devastating fires, and horrific depletion of topsoil, dams that flooded farmland and villages alike. The problem is, Mr. Allen and Mr. Risley – you don’t know your history! Army archaeologists already have identified a major Iroquois village in the middle of the post with dozens of lesser sites scattered around the installation. Rush said nearly 200 significant sites have been located on post. Among them: Near the boat-building site, Rush and her colleagues have marked out a 5,000-year-old Indian village. As the Prohibition and Temperance movements grew in strength patriotic prints of the first president and his officers were bowdlerized. The Currier and Ives print of [George] Washington’s farewell toast to his officers that was published in 1848 showed a glass in his hand and a decanter on the table. By 1867, the glass had disappeared, leaving him with his hand on his chest in Nelsonian mode, and the decanter had been converted to a hat! Successive biographers of Patrick Henry turned him from a former tavern keeper to an occasional tavern visitor, before dropping the tavern entirely from his life story. On January 15, 1918, a 58-feet-high tank built by the Purity Distilling Company split open and disgorged its 2.3 million gallons — 14,000 tons — of molasses. Like some glutinous volcanic lava flow, it gurgled across the North End of the city in a flood 5 feet deep that ran at 35 miles an hour, taking over twenty people in its path to the stickiest of sticky ends. We like beer, though we’ve commented before on liquor in the North Country, and on Homeland Security and Prohibition. – in case you missed it. Adirondack Mountain Lions, Panthers, Pumas, and Cougars Oh My! There is perhaps no wildlife question in the Adirondack Region that raises so many anti-government / anti-DEC hackles as the question of whether or not there are mountain lions (a.ka. cougars, pumas, panthers, catamounts) in them thar woods. People actually get angry… figuring that them city folk in the DEC just don’t know what they’re talking about, they don’t believe the locals, or they are hiding the fact that the big cats are around. » Continue Reading. Two new developments in Adirondack Natural History. The Natural History Museum of the Adirondacks has announced they will open this July and an Adirondack Public Observatory is planned for Tupper Lake. Google Print is finally here. It joins the Listing of Oldest and Rarest [Adirondack] Books, the Adirondack Chronology [pdf], Northern New York Historical Newspapers, the Southern Adirondack Library System’s access to Heritage Quest, Making of America, and the Harper’s Magazine Search in the really cool free Adirondack historic resources department. Happy Halloween, the old Celtic Pagan holiday Samhain and the anniversary of the day Martin Luther began the Protestant Reformation. The old holiday was taken over by Pope Gregory IV in 840. Also, the anniversary of the death of Houdini in 1926 and of River Pheonix in 1993. Vermont’s Diabologue recently had an interesting reminescence on the early days of the Internet. Say What? has added their own memories of the Commodore 64. Some folks over at the BlueMoo.net Adirondack community board are worried about their kids holding their breath… yeah… big danger there. 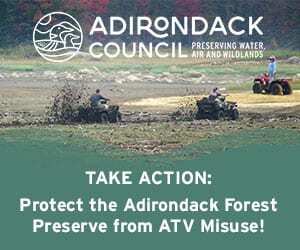 And why we’re on Adirondack community boards, the amazingly dull Adirondacks Live Journal is looking for a new moderator. In case you missed it… the Queensbury Pagan Day apparently rocked and people are surfing the St. Lawrence! Oh yeah… got junk mail problems? Think of the fun you can have with this. Two soldiers from Lowville have been killed while serving in Iraq. Seamus Davey, 25, and Kelly Cannan, 21. Two more lives lost, two more families damaged. The son’s and daughters of the rich and powerful are avoiding the military like the plague and Iraqi veterans are suffering from plagues of their own. Another 13,902 claims against the VA still pending. More than 9,600 Gulf War veterans have died. 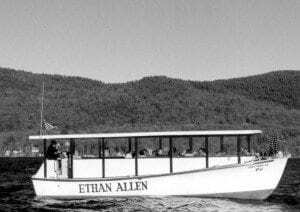 The 40-foot tour boat Ethan Allen has capsized on Lake George. It happened at 3 pm; 49 passengers were on board. 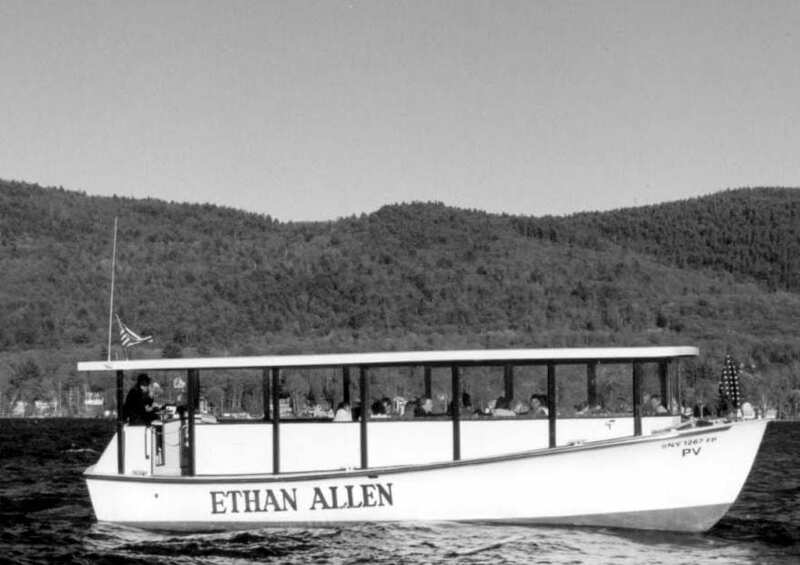 Update: The Associated Press is reporting 20 were killed, making it the deadliest such tragedy in the history of Lake George and the Adirondack Region. We’ve been told that the emergency room at Glens Falls Hospital was overwhelmed and forced to send patients to Saratoga Hospital. The AlbanyEye is reporting on the reporting. » Continue Reading. Long time Adirondack resident, advocate, historian, and guide-book writer Barbara McMartin has died (more). She will be missed. The Adirondack Almanack owes a great debt to her rigorus study and appreciation of our region. Adirondack Almanack reported on the Tops issue early. The latest from Champlain has Price Chopper moving in, but apparently not in time. The [Tops] Champlain grocery’s lease with Pomerleau Real Estate of Burlington expires Oct. 1. “We’re trying to get them to stay a little longer,” said Champlain Village Mayor Jeffrey Moore, hoping to have that grocer remain until Price Chopper opens next spring. If Grand Union couldn’t make local operations profitable and Tops is looking for a way out of town, what’s to offer hope that another chain would come in? And, if not a chain, what local merchant would want to take on the responsibility for just one community? Who do they suppose supplied these towns before the mega-marts? This is a great opportunity to point readers to Dead Malls online. Wouldn’t it be great if folks near some of these dying strip malls could post the photos and give some details?